We are pioneers in the manufacturing of marble cutters which are widely used in various cutting applications. Our marble cutters come in 4", 5", 6" sizes. Salient features: This most ubiquitous machine in the industry comes with a heavy duty motor housed in high grade engineering plastic with the gear assembly housed in solid aluminium alloy casting. The machine is light weight and compact design for ease in operation. It has an adjustable base to adjust the depth of cut. Application: The machine is mainly used for cutting marble, granite and all other kinds of stones and masonary materials. It is also used for making grooving in the above materials. We are a leading manufacturer of Marble Cutters in India. 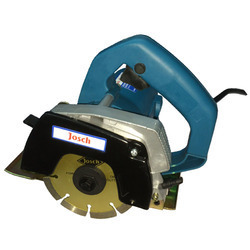 It is widely in demand for the usage in cutting marble, granite and all other kinds of stones and masonry materials. These are manufactured in compliance with industrial standard of quality and are supplied to a wide dealer network across the country. Our organization is offering a qualitative range of Marble Cutter to our valuable clients. These cutters have high tensile strength, durability and long lasting performance. Our range is ideal to cut marbles and granites. We offer our range in various sizes, which can be personalized as per the requirement of our clients. 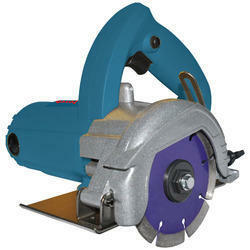 Furthermore, it is also ideal for all type stone cutter. 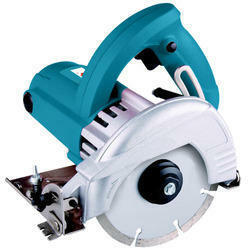 We are highly engaged in offering a high-quality range of Marble Cutter to respected customers. Our accessible range is fabricated at our end by making in use premium quality raw material. These products are quality checked using latest technology in accordance with industry set quality standards. Clients can acquire these products at very reasonable prices. 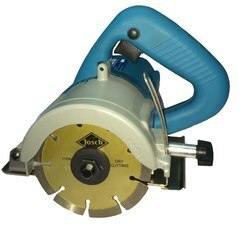 Looking for Marble Cutter ?